My name is Michael Doll #453-855, i am 34 years old, my bday is October 1st, so im about to be 35 any day now. I love to work-out and pray. i am currently serving a 20 year sentence. i got 20 years a day after i turned 20 years old. i am about to be released to a half-way house in September of 2022 but i max out in March of 2023. I am a very out going person who likes to read and write. I am an artist by blood. So i see beauty in everything. i love to sit down and just draw for hours and hours. i have a 5 year goal to own my own Tattoo shops when i am released. Most people find me to be very interesting and humble. I love to make people smile and feel confident about themselves. I love to explore the world and see what there is out there. hello my name is Michael Doll #453-855, im 34 yrs old, race other, 5’4 160 pds, lots of tats. 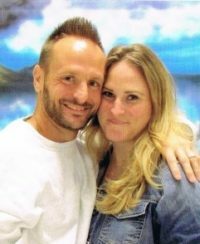 im doing a 20 yr sentence, i have over 15 yrs in prison, and i might be getting out soon. i love to draw, i am a natural artist and love art all together. i have written 6 books, 4 of them for my daughter, and other one on the way. i love to be people’s shoulder for them to lean on. im not looking for a hand out, i have my own money. im really just looking for a good friend. im very open minded and can call you if u dont like to write. my birthday is October 1st. so yes it is coming up and no i dont feel my age, whatever thats suppose to mean i quess. i love dogs and animals too. this is my info so hit me up asap.